This article is part 2 orf 2 that appeared on www.allthingswhitetail.com and has been republished with permission. GroPAL.com is not associated with Andy Hayes or www.allthingswhitetail.com - GroPAL has not paid for any endorsements and, until we came across the article and video we had never heard from Andy. You can follow Andy Hayes on www.allthingswhitetail.com. 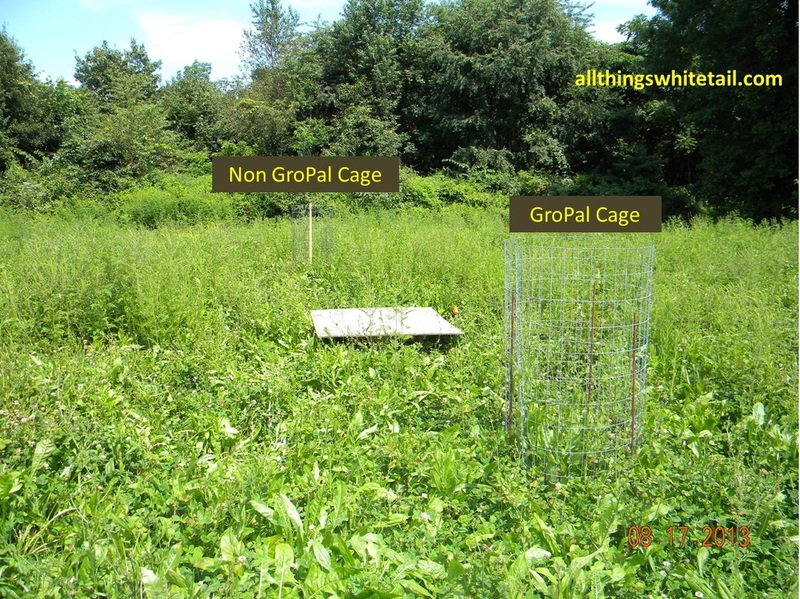 A month has past since we first sprayed the GroPal Foliar Sea Mineral onto half of our WI Clover and Chickory plot. As you recall, our initial purpose of this little experiment was to determine 1.) Do deer prefer GroPal during browsing? 2.) 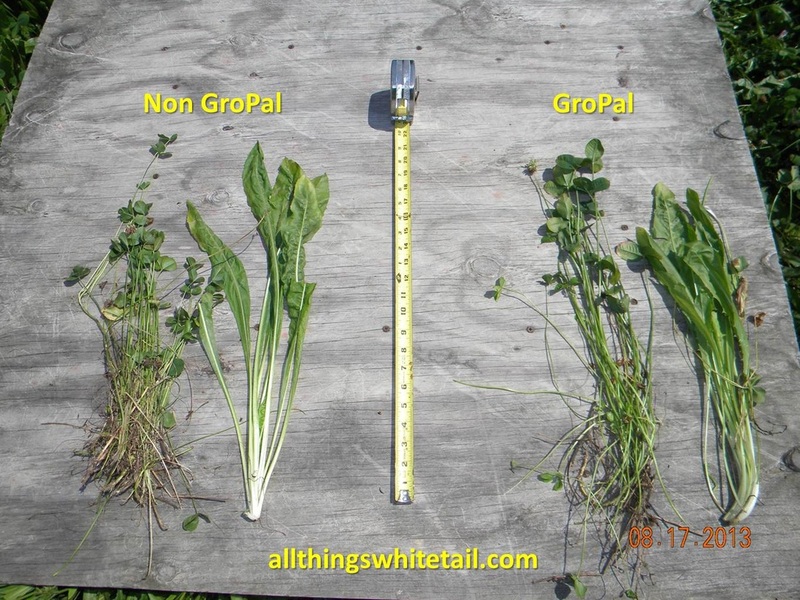 Will GroPal improve plant life and increase growth? Today we tried to answer the second goal by measuring plant growth between the GroPal and Non GroPal Clover and Chickory. You will have to excuse the camera work as I was filming alone today. My camera crew was busy cutting the grass at home and cleaning up around the yard. Now that school is in session, they must do this on weekends. The growth results are rather interesting. There was a visible height difference within the utilization cages. 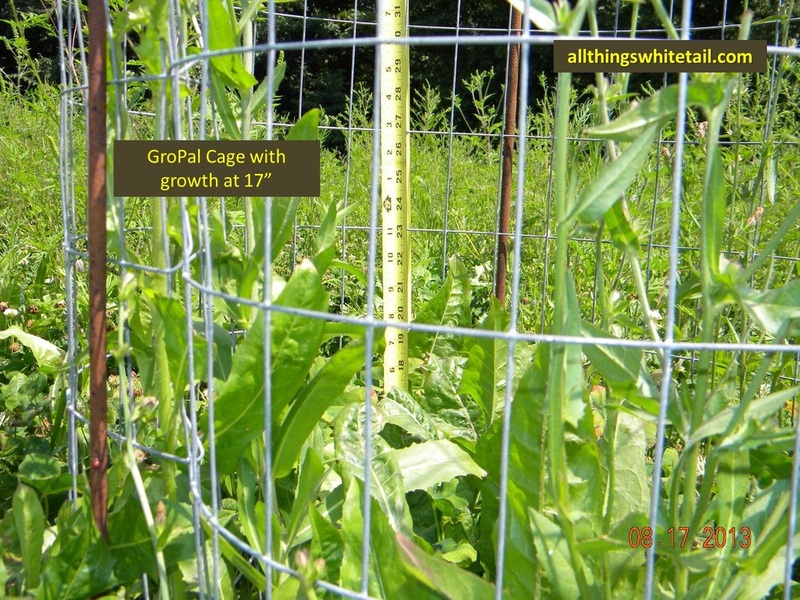 The GroPal plants were roughly 2" taller than the plants not sprayed with GroPal. For the Clover, this was even more evident when we pulled samples and laid them out on the plywood we had staged in the field. I saw a visible difference in the health of the plants. They were greener and fresher looking than the non GroPal plants. We have not had any rain for a few days, so it is beginning to get a little dry. I can't say for certain that the GroPal plants had more moisture, but they just appeared to be healthier overall. 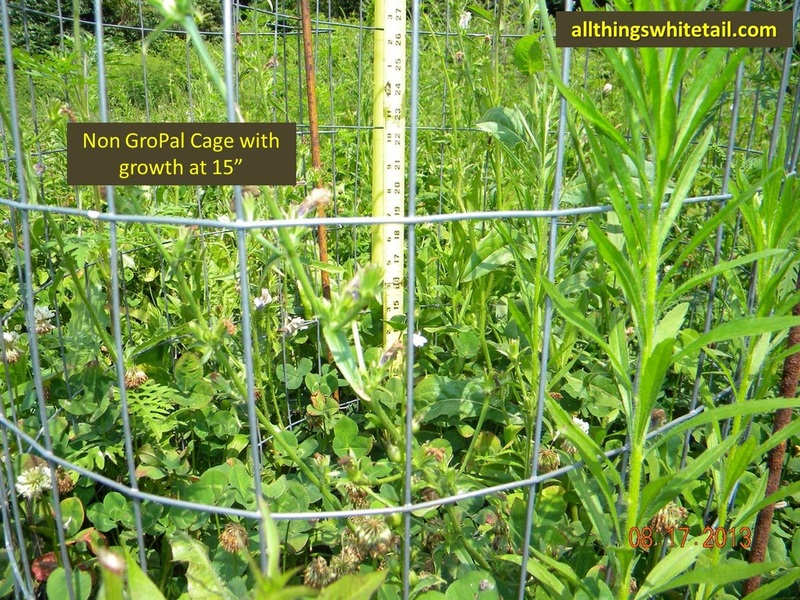 My application of GroPal is in addition to the normal soil amendments applied each spring. I have posted my soil sampling practices previously on this blog, so hopefully there are no more concerns about neglect of basic soil management practices as a part of this process. I'm sure these results and this particular blog will resurface the debates and critical feedback regarding this experiment. Again, I am not sponsored by GroPal and I am only doing this to share what I have learned from this process. Please do not buy GroPal or any other product based solely on my personal results. Make an informed purchase and test it yourself. You may get different results. As far as my opinion, GroPal makes a difference. I think it can increase the tonnage in my plots, which could be huge once the snow starts flying. A couple of inches of growth might provide the carrying capacity my herd needs through late January and February. Good luck with your plots, and I appreciate the time you have taken to review this blog and the attached video and photos below. Like us on Facebook and keep checking back for new entries.